We know that different transportation agent carry soil particles to new location to form a deposition. 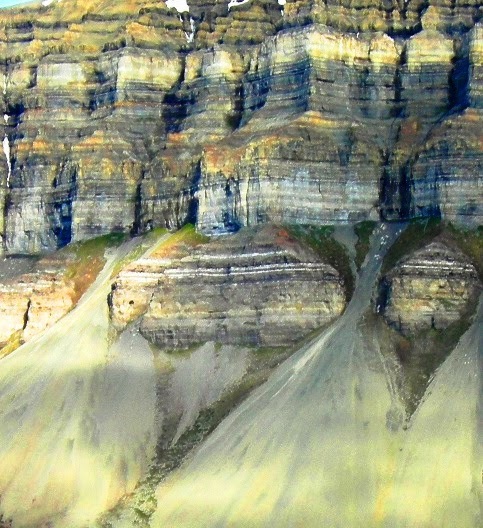 With water, wind, glacier etc gravity also contributes to transport fragment of rock for soil formation. Like these transportation agents gravity also transports soil but up to a short distance. At the foot of steep slopes or cliffs rock fractions and soil masses as well are found which are fallen from rocks at higher elevation and definitely active force is gravity. These piles of rock or soil mass are fallen due to weather of parent rocks. The regions where high cliff are common, the usual geologic feature is talus. So talus is a soil that is deposited by gravity. The talus is also subjected to weathering and together with impacts of fallen new materials added above results a sliding or creeping tendency to the talus at base. In this process of gravity deposition both colluviums and talus may form. The talus includes the coarser materials to be deposited containing boulders. The boulders remains in talus preclude invasive investigation techniques. Sometimes special analysis of surface waves is used to assess thickness of talus. This soil is important in many engineering construction as a source of coarse grained soils and broken pieces of rocks.